List of Francis Wright compositions and arrangements published by Charnwood Music. On March 18th 1918 in Leicester, Francis was born to Ellen and Fergus, the youngest of five children. As a child always played mouthorgan (by ear) and sang in the church choir. Francis served in F Company, a training battalion of the Royal Corps of Signals, from 1933 to 1935 as a boy-soldier, and sang In the Catterick Garrison Church Choir under the eminently - strict baton of Bandmaster Randolph Robert Rlcketts (pen-name Leo Stanley), composer of many military marches. His brother wrote under the name of Kenneth Alford, and was the composer of “Colonel Bogey”. The two were known throughout Army music as the “Ricketts Brothers”. In 1935 Francis left the army due to his father’s ill heath and returned to Leicester to assist in the family shoemaking business. He took up the piano-accordion in 1937, as pupil of the late George Alexander Sutton, but then had to return to the Army for war-time service. He was re-mustered to the Royal Corps of Signals, serving as a “Special Wireless Operator” (Radio - Wissenschaft) through North Africa, Italy, and - after the war - Austria, covering front-line German regiments. He continued to play his accordion throughout the war, also broadcasting weekly with the 8th. Army‘s own BBC station (known as “B4”, and run by Lt. Clifford Oath - afterwards to become Daily Mirror TV Critic). Near the end of the war these pieces were broadcast from the stage of Cesena Opera House, Italy, with Francis playing an instrument made for him at the time by Danleie Cintioli of Castelfidardo. On his demobilization in 1946, he returned to the family-business. On the death of his father, Francis opened a music shop. He became a professional-accordionist in 1956, broadcasting for the BBC Midland Region, and devoting his whole attention to the instrument and its interests. He founded the Lelcester School of Music in 1964 - a body which continues in accordion and guitar specializations up to the present time, with a fine reputation. In 1965 he was asked by the late Dr Otto Meyer to take over the responsibility of the British College of Accordionists (BCA), a body specializing in accordion examinations. He continued working with the BCA up to his death in 1997. Francis was the Accordion Day organizer for the National Accordion Organisation (NAO) from 1965 to 1970 and was Chairman from 1966 to 1969. 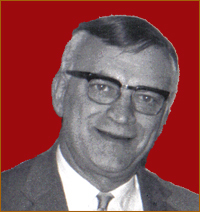 He was the vice President of the Confédération Internationale des Accordéonistes (CIA) from 1968 – 1970, during which he staged the 1968 Coupe Mondiale in Leicester. In 1958 Francis found that there was a need for publication of accordion music by British composers and he established Charnwood Music. In 1971 the college instituted an Honorary Fellowship, and this was conferred upon Francis by the then Patron, Lord Taylor, in that year. Over the next 42 years Francis continued to teach and trained hundreds of students in the art of music. Francis played the accordion for over 60 years and he always regarded the pursuit and achievement of perfection as his top priority. In 1986 he suffered a coronary, followed a year later by a heart by-pass operation. In 1997 he attended the NAO UK Championships and was awarded the National Organisations Merit Award for his “Outstanding service to the Accordion” but sadly at the age of 80 on 21st August 1997 Francis passed away. The end of era especially for the British College of Accordionists.